If you don't want content reviewers to accidentally change a Word document or an Excel spreadsheet, you can use formatting and editing restrictions. Note: To further restrict reviewers from making changes to your document or spreadsheet, you can make the file read-only or you can password protect it. 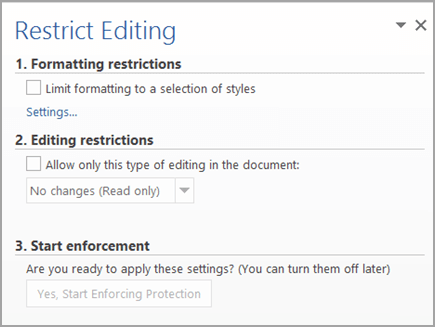 For more information, see Restrict changes to files and Make a document read-only. The Restrict Formatting and Editing pane appears. 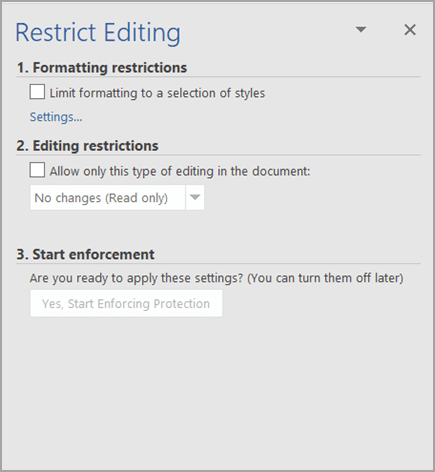 In Formatting restrictions, Editing restrictions and Start enforcement, you can make selections that meet your formatting and editing needs. 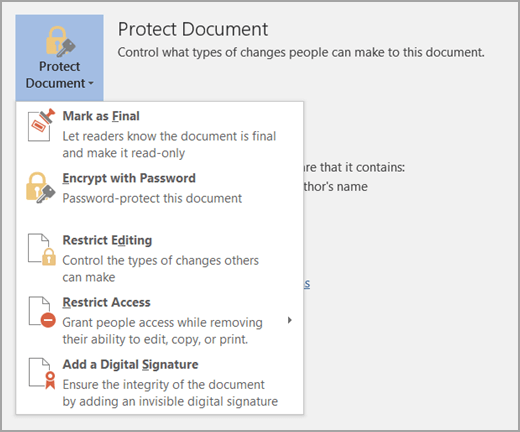 For more protection options, click File > Protect Document. Protect Sheet Protect the worksheet and contents of locked cells. Protect Workbook Protect the workbook for structure and Windows. Allow Edit Ranges Determine what ranges can be edited. 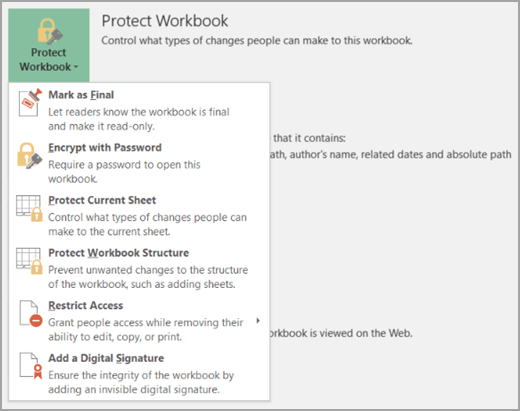 For more protection options, click File > Protect Workbook. Protect and Share Workbook Prevent removal of tracked changes. Allow Users to Edit Ranges Determine what ranges can be edited.